Home buying and selling is now in the palms of your hand. Apps are replacing traditional methods of home buying such as open houses. Aaron Wdowiarz and Jenri Platz are looking for a new home in Las Vegas but they're not taking the traditional route. "You don't have to call and wait or schedule to have a realtor show you the house," Platz said. "You can come in and look at it whenever you want." Wdowiarz and Platz are using an app called Opendoor . You just enter some information about what you're looking for in a home, then search in the area where you want to live. 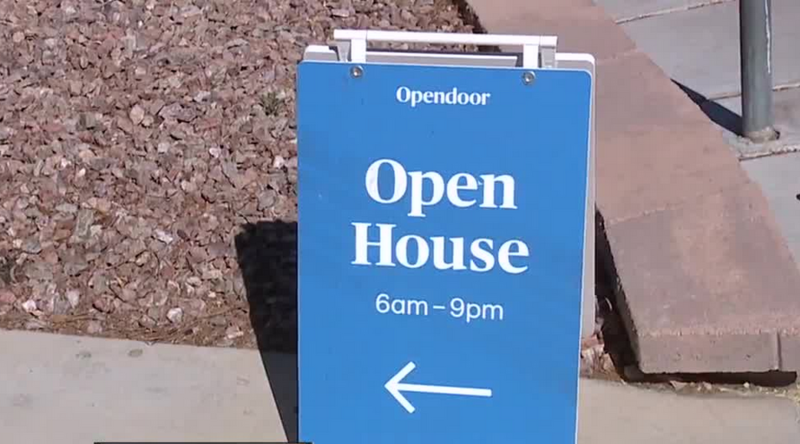 "The app is actually your key into the home," said Julia DeWahl with Opendoor. "You walk up to the front door and just tap the app, unlock and let yourself in." Opendoor says their service is completely free. "Same thing goes for getting an offer," DeWahl said. "It's no obligation to move forward once you get the offer." So if you're looking to sell your home, you simply provide your address, answer a few questions and they make an offer. That means no listing contract with a real estate agent, no scheduled showings and you choose your closing date. RELATED: Which Las Vegas valley zip codes showed highest gains in home prices? Opendoor is just one of your choices. Offerpad is another option for buying and selling homes in the Las Vegas valley. "I fully expected them to come back with a lowball offer that was ridiculous," said John Schlatter, an Offerpad user. "And actually what they offered me was a very fair and reasonable price." Offerpad provides that service for all their sellers, moving within a 50-mile radius. They're also working to make home buying a smooth experience. "You don't need an agent to come see any of our houses," said Cortney Read with Offerpad. "You don't need to schedule an appointment. You come at your convenience." They provide a code for access into every one of their homes, which are move-in ready. Offerpad does all the necessary renovations, including paint, carpet and landscaping, before a house goes on the market. Whether you decide to work with Offerpad or Opendoor, users Contact 13 spoke with say you won't regret it. "After the experience, we were just so happy about it, I felt like I wanted to tell everybody," Becky Schlatter said.